Steve Wright is a London-based film composer, music arranger, producer, songwriter, drummer, and pianist. Having met Johnny Ray through a mutual friend, Steve came to Cape Town to create the new orchestrations for Rockville 2069's premiere with the Cape Town Philharmonic, and is MD for the opening run. As a composer and arranger, he has recently worked on films such as About Time, Alpha Papa and 47 Ronin, and documentaries such as David Attenborough's Natural History Museum: Alive. He is also extending his international network, composing for documentaries with collaborations in Canada, America and Cambodia, in addition to his new Cape Town connection. Gavin Wright is the Artistic Director of Fresh Theatre Company. He has produced and directed productions for the past 25 years. After qualifying from the L K School of Arts he quickly established himself as a choreographer and director. He has directed a variety of productions, including; Joseph and the Amazing technicolor dreamcoat, Aiming High, Oliver, Till death us do Part, Love in Cyberspace, Fiddler on the Roof, West End to Broadway. He has also established himself as a mass choreographer producing movement and pictures on pavilions throughout South Africa. In 2007 he was commissioned to choreograph the entire Opening of Parliament in Cape Town. He has performed throughout South Africa and also directed and starred in his own production “Twisted Vision” in London in 2008. He has directed countless musicals including original works: Flag of Freedom, Life is Rock n Roll, Pinocchio, I have a dream, Lolli, Showtime to mention but a few. Fresh Theatre Company produces on average 3 original shows per year. Gavin’s passion is to produce or direct “fresh” productions. This is why Rockville 2069 was so appealing. He has been involved with the production since January 2013, working as part of a collaboration team to adapt the production for stage. 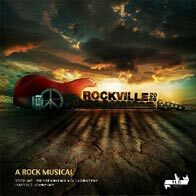 Rockville 2069 promises to be a phenomenal production that will Rock Cape Town! Morag trained as a Registered Nurse specialising in Emergency Nursing for 18 years, but joined the Gilbert and Sullivan Amateur Dramatic Society in 2000 to pursue her love of theatre after hours. She worked her way up from Tea Lady and Props Assistant to Props Manager, Assistant Stage Manager and Trainee Stage Manager, gaining valuable experience in musicals staged at Artscape such as Fiddler on the Roof, Sound of Music, My Fair Lady and Guys and Dolls. She has also won the Eunice Williams Award twice for excellent technical and artistic contribution in a musical. 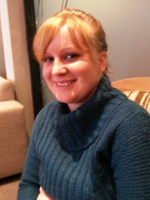 In 2009 she resigned from nursing and decided to pursue Stage Management full time. She has worked as Assistant Stage Manager for Cape Town Opera on La Boheme and Otello, as well as pursuing her love of ballet by shadowing the Stage Manager for Cape Town City Ballet's Camille, Sleeping Beauty and Swan Lake. She has also worked as a Follow Spot Operator at the Baxter Theatre, and Stage Manager for Passion Play Ministries International and productions at the Masque Theatre and Spier Wine Estate. Natalia van Eck started her theatre career during 2007 as the Co-founder of a Non-Profit Organization, uplifting unprivileged youth and performing with them at various venues. During 2011 she studied Technical Stage Practice at Artscape and qualified with a NQF Level 6. As a member of the theatre business, Natalia pushes her boundaries and continually broadens her knowledge in various departments’ of the theatre business. 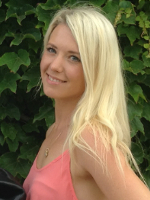 Corinne is trained in hip hop, ballet, modern, jazz and contemporary. After her studies in South Africa she was accepted into the London Contemporary school of dance in London, UK. She then continued work as a professional dancer in hip hop as well as contemporary in London for 5 years. She has worked for TV companies such as The BBC, performed on stages such as Wembley Stadium at some of London West End Theatres, she has also been approached to work with artists such as Daniel Bedingfield. She has also taught workshops at schools such as The Oxford University. 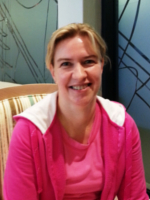 In South Africa, Corinne continues her career on a large scale. She has been the choreographer for South African Idols for the past 3 years, She also worked with the contestants 1 on 1 perfecting their performance skills. On the show Corinne choreographed for artists such as Liquideep, Jack Parrow, Toya Delayze, Kurt Darren, Proverb, and more. 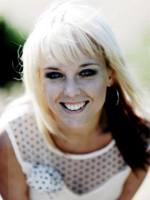 She has choreographed for award ceremonies such as The MK Awards and the South African Player of the year awards. She continues to work on big corporate jobs as well as commercials for local and international companies. She has also judges a number of competitions such as the Cape Town Eisteddford at the South African Championships of the performing arts. Kurt is a pianist, singer, actor and sometimes dancer and has called upon all of these talents throughout his career thus far. Shortly after leaving university he landed a role in the Spier International Arts Festival's Production of THE MYSTERIES and Tony in WEST SIDE STORY. That same company then took THE MYSTERIES and Bizet's CARMEN for a successful run to Wilton's Music Hall in London. Subsequently, the company toured with these two productions to the Perth International Arts Festival, and an award-winning 12 week run on London's West End, the Spoleto Festival in Charleston USA, the Festival of Arts and Ideas in New Haven USA, the Dublin Festival, the Toronto Arts Festival and a 12 week 12 city tour through England. Other musical credits for the same company include Dr Frankenfurter in THE ROCKY HORROR SHOW and Slippery Sam in THE BEGGAR'S OPERA. Another credit is his portrayal of Mary Sunshine in the Broadway hit Musical, CHICAGO-THE MUSICAL, for which he received a Naledi nomination. Kurt started his coaching career at Cape Town Opera working on productions of RIGOLETTO, THE MAGIC FLUTE, WERTHER and DON GIOVANNI and Assistant Chorus Master for Brett Bailey's production of Verdi's MACBETH. As well as portraying the role of Gabriel in Janice Honeyman's STARBRITE. He was then appointed Deputy Musical Director for Pieter Toerien and Hazel Feldman's production of Disney's BEAUTY AND THE BEAST entertaining audiences in Johannesburg and Cape Town. 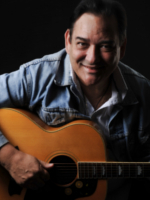 He then joined the ranks of the singing department at the SACM at UCT as a coach and accompanist working with young singers which he enjoys immensely. Kurt has also done work with the COMART community choir, assisted Alex Fokkens with the Cape Town Symphony Choir as well as work with the Unqombothi Cape Town Sings Choir. 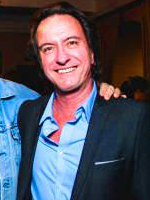 His other production credits include GREASE and THE KING AND I for The Settlers High School and HAIRSPRAY for Fish Hoek High School, THE GREAT GATSBY for Spier, FAME-The Musical and LITTLE SHOP OF HORRORS for Camps Bay High School and BOY MEETS BOY for Festival Productions. Recently Kurt returned from a very successful season of PHANTOM OF THE OPERA in Cape Town and Johannesburg in which he played the role of Monsieur Reyer. 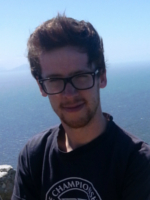 Kurt is also Musical Director of the UCT CHOIR, COMART Children's Choir and the Shoprite Jonge Studente Malay Choir. Francois Botha was awarded a music scholarship to Bishops high school in 2004 and commenced his BMUS degree at UCT in 2009 where he is currently completing his honours under Albie van Schalkwyk. He has been a soloist with the KZN Philharmonic as part of their Concerto Festival and on several occasions with the UCT Symphony Orchestra and has performed solo recitals in the Baxter Concert Hall, Hugo Lambrechts Auditorium, the St. Andrews Concert Series and numerous other venues. Francois is also the recipient of a number of awards, scholarships and prizes for solo and ensemble playing including first prize in the FMR Bursary Competition, the National Ensemble Competition, the Lionel Bowman Prize for Beethoven Playing and the Schock Prize for Chamber Music. Besides his career as a solo classical pianist, Francois also works closely with a number of singers and instrumentalists as an accompanist and is a respected chamber musician. 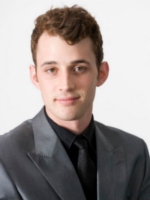 As a double bassist he has been principal bass of both the UCTSO and the SA National Youth Orchestra. His interests in Jazz and contemporary music are evident in the number of new works that have been commissioned for him and which he has premiered, most recently the compositions of Frederick Kuit. As half of the DJ/Producing duo “Sisterfella”, Francois has released an EP, written music for plays and performed in a large number of the venues around Cape Town. Bruce began his 40-year career at SABC TV as a cameraman. Developing a good eye from the beginning has made him the Producer and Director he is today. During his time in the film and television industry, he has fulfilled a variety of roles. 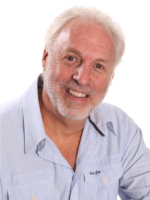 From cameraman to floor manager to scriptwriter, producer, director and editor, Bruce has gained invaluable experience across a variety of programming formats and visual applications. These include Youth and Children, Theatre, Documentary, Magazine, Variety, Commercials, Conferences, Events and Drama. For the last 18 years Bruce has focused his talents on live and pre-recorded directing and producing in a wide variety of visual areas and received numerous awards for his efforts. Amanda is a Canadian dancer and has been living in South Africa for the past 8 years. She has a dance school in Durbanville, Gift of Dance, where she teaches Hip Hop, Modern and Tap to students of all ages. Since moving to South Africa she has performed on many occasions including the Warner Bros. feature film "House Party 5, tonight's the night", Reebok commercials, as well as SA Idols with such artists as Khaya Mthethwa, Lloyd Cele, HHP, Liquideep, Kurt Daren, Sindi Nene, Mark Haze, Elvis Blue, Dave Van Vuuren, to name a few. Amanda is trained in Hip Hop, Modern/Jazz/Contemporary, Tap and Ballet, and has trained in Los Angeles, New York and Vancouver with some of the Dance industry’s finest. I was born and raised in Durban, KZN. I come from a family rich in artistic and musical ability, with lots of love and not much money. I had an amazing and happy childhood, filled with a family where everyone could sing ,dance and play an instrument. From an early age,I was singing in choirs, school plays and musicals. I won many awards. When at high school I started to learn to play instruments. Before long I could play the guitar, piano, drums, trumpet and mouth organ and again won many awards in different categories. At age 13 and 14 ,I participated in my first two albums, The cadet band at our school was the best in the land and had an amazing following. By the time I was 16 I really felt a needed to write and began to compose songs. It was something that came naturally to me. When I finished high school my parents advised me to use my University entrance to study for a more commercial degree. This I did and thus began my commercial career. There was no funding for a degree in music and art. It seems like a sad twist, but I don’t see it that way because, during my career I acquired skills would become just as important as writing, in my quest to follow my passion. At a certain point in my life the tug of writing was beginning to overwhelm me and I decided to make an uneconomical decision that was rich in culture. I decided to put most of my commercial endeavors aside - as life only passes by once and create space in my life to write a musical. I then contacted an old school friend, Bruno Paiola. He jumped at it and as they say the rest is history. Thus begins a new chapter in my life - endorsing the old adage "it’s never too late to follow your dreams." 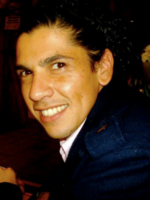 Although South African by birth, Bruno has been involved in international development for over twenty years and has worked across the globe spending much of his time in New York, Bologna, Paris, Brussels, London, and Copenhagen. More recently he has spent time in Cape Town, Hong Kong and Dubai. Although he has two Masters degrees, one in Humanities and the other in Management, and has studied both in South Africa and France, he has no qualifications in music or drama, other than a passionate love of both. He currently lives in England. 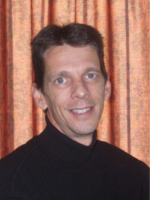 He has worked in Higher Education in South Africa, Italy and England and has presented regularly at conferences globally. He has written extensively on matters to do with politics, literature, management, education and development and has served on a number of Boards, both as chair and ordinary member. Rockville2069 is a labour of love and incorporates his concern for our neglect of the earth with the ability for music to connect, engage and transform.